We need to talk. Because I've got this List I'm working on, right? But last Friday I took the girls down to the stash to find some yarn for scarves, since it's really starting to get chilly in the mornings. While we were digging out blue and pink yarn for them, I found you buried in the bottom of a bin. And in pawing through the bins, I came across you again. I looked at you fondly, remembering that day almost a year ago when I found you all by your lonesome in the sale bin at Stash, and brought you home with me. However, the problem lies in what happened next. Even after going back up to the house through the rain you kept calling out to me. And boy were you persistent! You promised me the coziness of wool, the sheen of silk, and you were just the same exact color as the lining of the winter coat I'm working on. So I did something dumb. 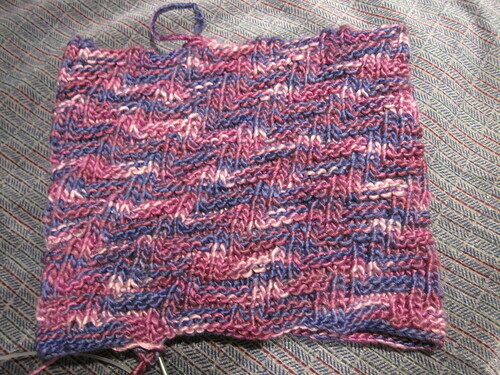 I listned to your siren call, pushed the IM Aran sleeves under the couch cushions and wound you up. 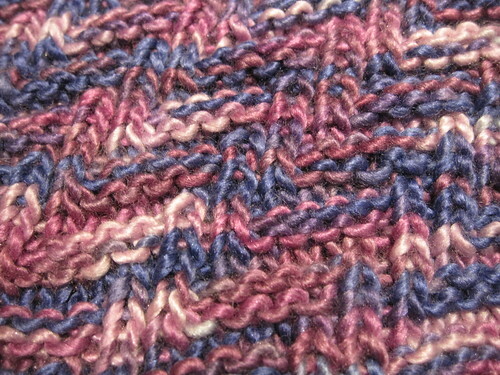 Then I cast on for a cowl. A few obsessive hours and a couple of bad movies later (Men in Black, The Legend of Baggar Vance - a fine illustration of the extremes of Will Smith's acting career), there it was. 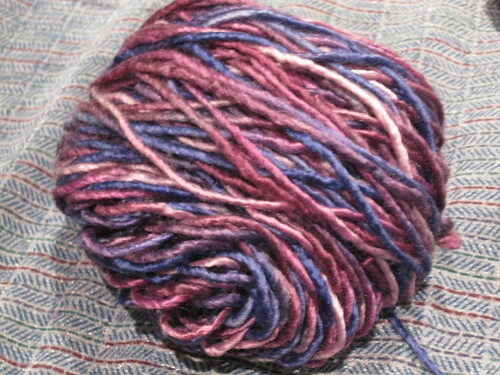 and a good third of a skein of leftovers, maybe for some matching mitts? 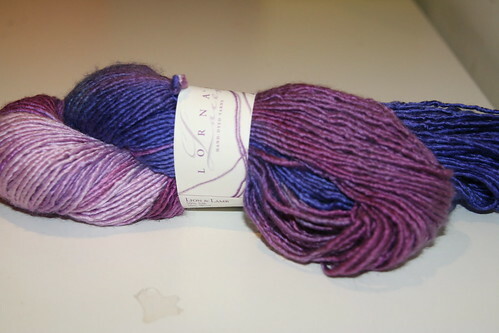 I apologize for ever doubting that your high price wouldn't be worth it, and I now understand why a Clapotis knit out of you might be just the most luxurious thing ever. I have to say, I don't think you're cut out for sweater-dom, but if I ever come across more of you - even at full price! - I'm going to be taking some of your cousins home with me. Written by porpoise On November 15, 2010 In "FO", "cowl"